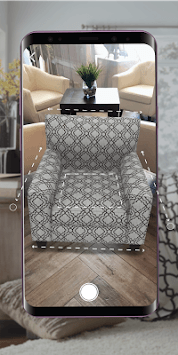 The NEW Ashley Furniture app features a streamlined shopping experience along with Augmented Reality (AR) that allows you to view select Ashley Furniture items in your own home. 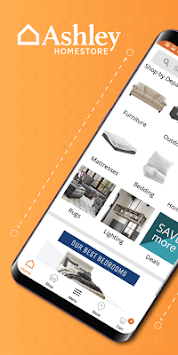 You’ll also be able to search, browse and shop thousands of home decor, bedding, mattresses, mattress in a box, outdoor, living room, bedroom, home office, media storage, dining, kids furniture, lighting, wall accents, and much more. Ashley Furniture offers convenience and flexibility when ordering and purchasing items for your home. Depending upon size and weight, your products will be delivered by Ashley In-Home Delivery or FREE UPS Shipping. With Ashley In-Home delivery, you choose the day you would like to have your items delivered and we’ll take care of the rest. 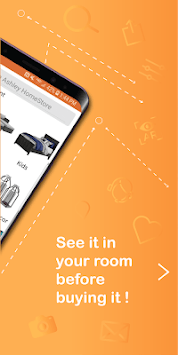 Ashley will place Ashley In-Home Delivered items in room of choice, assemble, setup, and will remove all packing material so you spend more time enjoying your new purchase. In select markets, we offer real time delivery tracking. The interactive map shows where your Ashley Delivery Truck is located along with your delivery window (not currently available in all markets). Find the closest Ashley HomeStore by using our store locator. Get directions, store phone number, hours of operation, and more. Ashley offers friendly consumer financing. Apply online or visit an Ashley HomeStore to view finance options available to your local HomeStore. NEW Ashley Advantage Card (Synchrony) account management and bill payment.